Juicy Smoothie is one of the restaurants in Branson that can help you beat the summer heat because of a variety of healthy cold refreshments they offer. This restaurant believes that every human being should have access to products that are healthy, natural and free of chemical ingredients. Juicy Smoothie is a locally owned and operated fresh fruit juice and smoothie bar in Branson, Missouri. 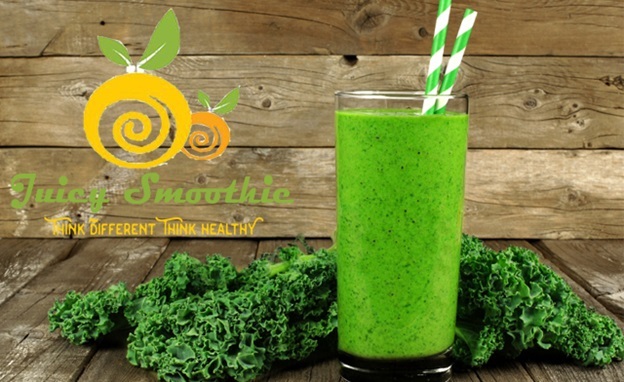 They offer fresh pressed juice, Smoothies, and many more healthy juice products. The juices served by this restaurant contain no added sugars or additives. Juicy Smoothie offers several signature drinks on their menu as well as giving customers the opportunity to create their own Juice or Smoothie. They also offer fresh roasted natural and complex coffees, non-gmo delicious bagels and muffins. This restaurant also features a juice bar that offers healthy refreshments that are delicious and nutritious. These products can be made to order for you to enjoy maximum freshness. Juicy Smoothie has a company mission statement to help you become healthy than ever. Tiana and Eddie work hand in hand, they make themselves busy cutting up carrots, apples, bunches of kale and rounds of lemons. Their signature juice bar features a selection of grab-and-go juices, several health shots including Vitamin C boosters, ginger lemon, plus eight fresh-pressed juices. Beetle Juice with beet, carrot, apple, lemon and orange is the most popular juice that the couple have made. Customers can have the chance to create their own healthful concoctions, and Tiana is always ready to help. Juicy Smoothie has plenty of space, so the couple have filled the place with tables and plush couches, so customers who stop by for a smoothie bowl on their lunch breaks can have the chance to spread out and relax. This juice bar features a smoothie bowls which has been a surprise hit, and similar to the juices, you can create your own fruit-filled, topping heavy delights. Of course, you can also choose one of the shop’s three 16-ounce bowls. The acai smoothie bowl uses a blend of strawberries, blueberries, banana, almond milk, and acai as the smooth base and is topped with coconut, chia seeds, banana slices and granola. If you are having a wonderful vacation in Branson this summer and looking for some healthy refreshments to beat the summer heat, Juicy Smoothie is the perfect place to visit.